I was stumped. No one had ever asked me that question before, and I frankly never really thought about it much. Again, I was a little embarrassed about my level of maturity and the information I thought I knew but truly I did not. 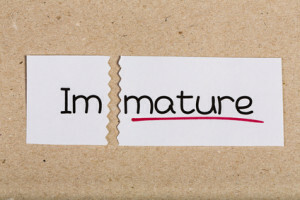 Subsequently, I ask myself that question several times a year, “How much have I grown and changed over the last five years?” I continue to be a bit embarrassed about my level of immaturity and knowledge. I’ve come to realize that with life comes change, and each year I hope to be a little more mature and little smarter than I was last year. Change and growth happen so slowly that, on a day-to-day basis, they are almost imperceptible. But on a year-to-year basis, I notice a slight difference, an incremental improvement. On a five-year basis, the personal change and growth is definitely noticeable (and hopefully, it is for the better).